Many Civil War historians have treated the Mississippi Delta region as a sideshow to more significant campaigns in the east. 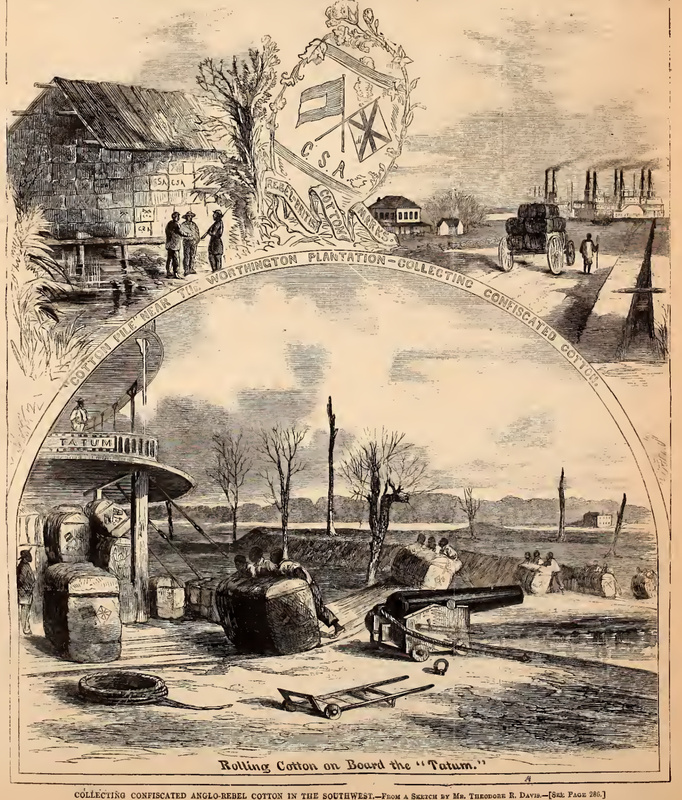 However, the Delta’s plantations supplied Union forces, witnessed some of the first ironclad battles of the Civil War, and the emancipation of thousands of slaves. Historian Jim Woodrick will explore how the Delta was vital to Confederate interests and was the target of repeated Union attempts to utilize the region’s waterways as an avenue of invasion. Jim Woodrick, a native of Meridian, Mississippi, serves as Director of the Historic Preservation Division at the Mississippi Department of Archives and History, where he worked for a number of years as the Civil War Sites Historian. In that capacity, he managed the Mississippi Civil War Trails program, participated in a number of battlefield and campaign studies with the National Park Service, and worked closely with the Civil War Trust and the American Battlefield Protection Program to identify Civil War battlefield properties in Mississippi for acquisition and preservation. He is a graduate of Millsaps College in Jackson and the author of The Civil War Siege of Jackson Mississippi, published by The History Press (2016). Signed copies of Woodrick’s book, The Civil War Siege of Jackson Mississippi, will be available for purchase — $24.00 (includes tax, cash or check only, please). LITTLE ROCK–The Arkansas Historic Preservation Program now offers free cell-phone tours of historic sites around the state, AHPP Director Frances McSwain announced today. The cell-phone tours can be accessed by calling (501) 203-3015 or by visiting http://www.arkansaspreservation.com/tours-events-workshops/audio-tours/. Current tours include Boyle Park (Stop 21), First Lutheran Church (Stop 41), Robert E. Lee School (Stop 51), Little Rock City Hall (Stop 61) and the Fourche Bayou Battlefield (Stop 11) in Little Rock; Crestview Park (Stop 31) and the Park Hill Fire Station and Water Company (Stop 71) in North Little Rock; Cane Hill Battlefield (Stop 10) in Washington County; Elkins’ Ferry (Stop 12) and Prairie D’Ane (Stop 13) Battlefields in Nevada County; Poison Spring Battlefield (Stop 14) in Ouachita County; Fort Southerland (Stop 18) in Camden; Marks’ Mills Battlefield (Stop 15) in Cleveland County; Jenkins’ Ferry Battlefield (Stop 16) in Grant County, and Ditch Bayou Battlefield (Stop 17) in Chicot County. 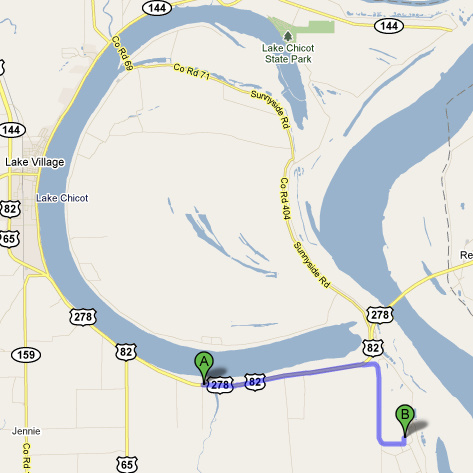 The Ditch Bayou Battlefield markers (A)are approximately 5.5 miles from the Lakeport Plantation (B). The AHPP is the Department of Arkansas Heritage agency responsible for identifying, evaluating, registering and preserving the state’s cultural resources. Shea, William L. “Battle at Ditch Bayou.” Arkansas Historical Quarterly 39 (Autumn 1980): 195–207. The letters, reports, and diaries of the Civil War show us the personal story of what these men went through during our country’s tragic split. Join the Park Interpreter, as we examine these writings and discover what they tell us about the Civil War. Visitors will also have a chance to write using the same tools the soldiers used 150 years ago. Join the Park Interpreter as he conducts a living history programs that represent what life was like for both the Union and Confederate soldiers in Arkansas. There will be reproduction equipment and uniforms so don’t miss your chance to see history come alive. If you have any questions about life as a Civil War solider this is your chance to ask. Join the Park Interpreter as we take an in-depth look into the battle fought on the other side of the lake. Firsthand reports from soldiers and civilians will show us what really happen here on June 6th 1864. Join us for a look into the Union assault on Fort Hindman that took place on January 9-11, 1863. Joe Herron, Park Ranger for Arkansas Post National Memorial will be giving us a presentation on what occurred during this battle and the effect it had on the surrounding area. Join us as we travel to the other side of Lake Chicot to visit the historic Lakeport Plantation. Dr. Blake Wintory, Assistant Director of Lakeport Plantation, will provided visitors with a guided tour of Lakeport Plantation. During his tour he will discuss the effect the Civil War had on Lakeport Plantation. Maps from Lake Chicot State Park to Lakeport Plantation will be handed out at the end of “The Battle of Arkansas Post” presentation. The Arkansas Heritage Sites at Arkansas State University will be hosting a series of teacher workshops this summer. Each workshop will provide six hours of inservice credit. All workshop themes and activities fit into the Arkansas Social Studies Curriculum Frameworks. These workshops are designed to feature the multi-topic and interdisciplinary educational opportunities available through three great and unique Arkansas Delta sites. This workshop will focus on the protest songs written by John Handcox and how music was used to mobilize a labor movement of the mid-twentieth century. The Lakeport Plantation and Lake Chicot State Park are two of 23 stamping sites for the Arkansas Civil War Sesquicentennial Passport Program. 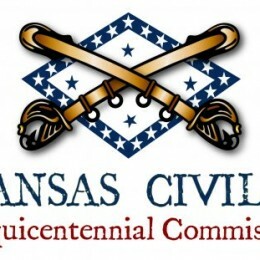 According to a press release from the Arkansas Civil War Sesquicentennial Commission: Travelers in Arkansas can visit sites around the state to learn about Arkansas’s Civil War history while earning prizes through the Arkansas Civil War Sesquicentennial Passport Program, Arkansas Civil War Sesquicentennial Commission Chairman Tom Dupree announced today. 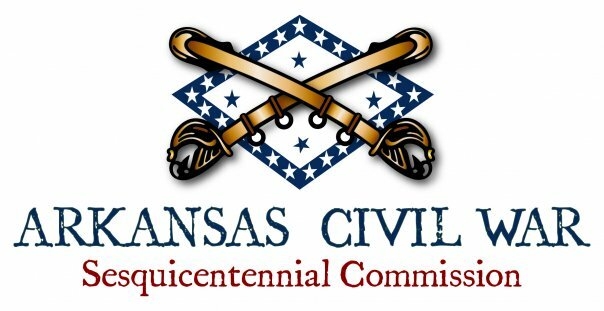 Arkansas Civil War Sesquicentennial Passports can be acquired at any of Arkansas’s Welcome Centers, at the participating stamping sites, by writing Arkansas Civil War Sesquicentennial Commission, 1500 Tower Building, 323 Center Street, Little Rock, AR 72201, or by e-mailing acwsc@arkansasheritage.org. One of the few glimpses of life at Lakeport during the antebellum period comes from the “autobiography” of Nancy Sherrard, the private tutor for the Johnson’s children between the summer of 1860 and the spring of 1861. Sherrard, a native of the prosperous Ohio River town of Steubenville, Ohio, wrote a short autobiography around 1890 as she was nearing the end of her teaching career.1 In reference to Lakeport, she tells a few details about the Johnson family and slavery not recorded elsewhere. However, most importantly, it reveals the strain of a Northern woman living and working in the Deep South as the country descended into civil war. Published in 1890 as part of The Sherrard Family of Steubenville, written by Nancy’s father, Robert Andrew Sherrard, and edited by her brother Thomas Johnson Sherrard. The book is long been known to historians, but can now be read more widely through Google Books and the Internet Archive. As the summer of 1860 turned to fall, the U.S. presidential election became the flashpoint for tension between the Republican North and the Democratic South. In November 1860, antislavery Republican candidate, Abraham Lincoln, was elected president infuriating the Democratic slave South. From December 1860 to February 1861, led by South Carolina, seven southern states left the Union to form the Confederate States of America. Arkansas, Virginia, North Carolina, and Tennessee would remain in the Union for now. 2. 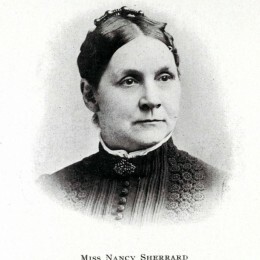 Nancy Sherrard quoted in Robert Andrew Sherrard, The Sherrard Family of Steubenville, Thomas Johnson Sherrard, ed. (James. B. Rodgers Printing Co: Philadelphia, 1890), 287. Martha likely taught 15 year old Robert Adams and 13 year old Linnie Adams; Robert and Linnie were the offspring of Nancy Johnson Adams, Lycurgus’ sister. Nancy likely taught Mary, Linnie, Theodore, and Annie, ages 11, 9, 7, and 5 respectively. See U.S. Census, Manuscript Returns. 1860. Schedule of Population, Louisiana Township, Chicot County, Arkansas; Crop creek Township, Jefferson County, Ohio. 3. 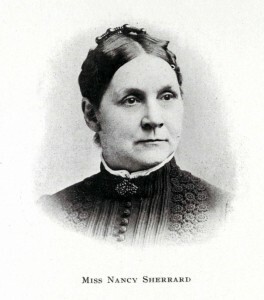 Nancy Sherrard quoted in Robert Andrew Sherrard, The Sherrard Family of Steubenville, 286-288. 4. Her father, Robert Sr., a native of Ireland, was described as a “lifelong Whig and a Republican from the day of the organization of that party.” He “voted for Abraham Lincoln and warmly endorsed his policy” and “[w]hen the War of the Rebellion broke out” he “remained a strong supporter of the Union.” Her brother, Robert Jr., served in the Ohio State Senate in 1861 as a Republican and in his 1895 obituary, he was described as a “staunch Republican, loyal to the party at every crisis.” See Thomas Johnson Sherrard in The Sherrard Family of Steubenville, 302. On Robert Sr.’s Irish nativity, see “’Death Loves a Shining Mark.’ Hon. Robert Sherrard, Jr., Passes Peacefully away this Morning,” Steubenville Daily Herald, November 15, 1895. The most prominent politician in the Johnson family was Lycurgus’ uncle, Richard Mentor Johnson, who served as Vice President from 1837-1841 under President Martin Van Buren. Three of Richard Johnson’s brothers served in the U.S. House of Representatives and another, Benjamin Johnson, became a territorial and then federal district judge in Arkansas. See DeBlack, “’A Model Man of Chicot County’: Lycurgus Johnson and Social Change,” in The Southern Elite and Social Change: Essays in Honor of Willard B. Gatewood Jr. (Fayetteville: University of Arkansas Press, 2002), 16-17, 19. 5. Nancy Sherrard to Robert Andrew Sherrard, February 16, 1961 in The Sherrard Family of Steubenville, 291-292. 6. Nancy Sherrard in The Sherrard Family of Steubenville, 288. 7. Nancy Sherrard in The Sherrard Family of Steubenville, 288. On Arkansas secession, see Thomas A. DeBlack, With Fire and Sword: Arkansas, 1861-1874 (Fayetteville: University of Arkansas Press, 2003), 18-28 and James A. McPherson, Battle Cry of Freedom: The Civil War Era (New York: Oxford UP, 1988), 282-283. 8. “Will Bid Farewell,” Steubenville Daily Herald, June 7, 1897. 9. Nancy Sherrard in The Sherrard Family of Steubenville, 288. 10. The Scroll (Washington, PA), Vol. 8, May 1914.